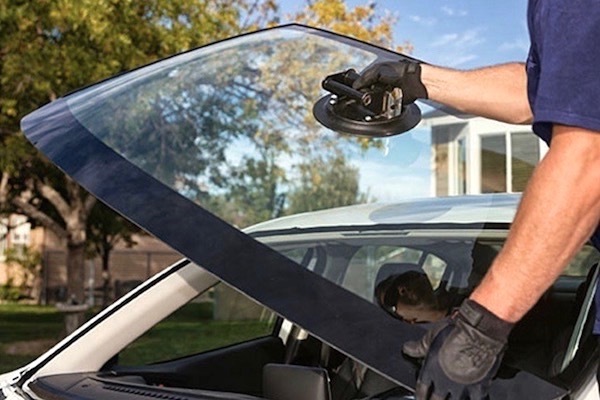 Professional replacement of windshields, side and back windows of the world’s leading car glass manufacturers for all types of passenger vehicles. 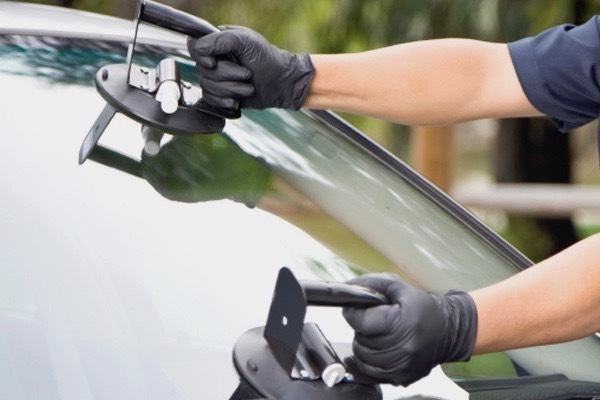 Black Glass installs windshields, side and back windows on all types of passenger vehicles. 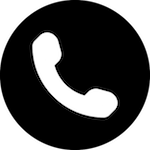 Our team consists of certified installers with extensive experience, trained to use the most advanced installation techniques. In Black Glass quality comes first. That is why we install only top quality glasses of the world’s most famous car glass manufacturers such as: Pilkington, Guardian, NordGlass, Saint-Gobain Sekurit, AGC, HS, XYG, FYAO. These companies produce original factory glasses for the biggest car manufacturers, so that you can be sure that the new glass on your car will have all the properties of the factory installed glass. Production quality of these glasses ensure their durability, great optical properties, soundproof windows and first of all safety for the driver and the passengers. During the installation process we use top quality professional tools and next generation adhesives which guarantee safe and comfortable driving without unpleasant noise. 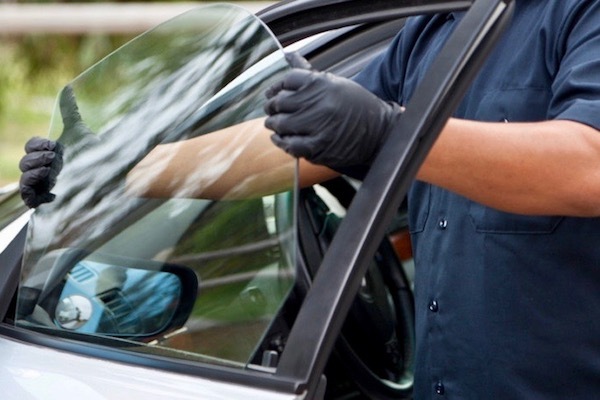 Car glass replacement is possible in all weather conditions (rain, snow, wind etc.). Protect and cover the car’s exterior as well as the interior of the car. Clean up the residues of the old glass and remove the old windshield. Apply a primer to the window edge and car’s exterior and dry. Apply adhesive to the new windshield. Check, clean and bring back the old registration sticker. The windshield replacement takes about 1 hour. It is recommended not to drive the vehicle for at least 1 hour after the service is completed so that the glue can dry well. It is also recommended not to clean the vehicle 2 days upon installation. The side window replacement takes about 1 hour. The vehicle is ready for driving upon installation. The back window replacement takes about 1 hour. It is recommended not to drive the vehicle for at least 1 hour after the service is completed so that the glue can dry well. It is also recommended not to clean the vehicle 2 days upon installation. 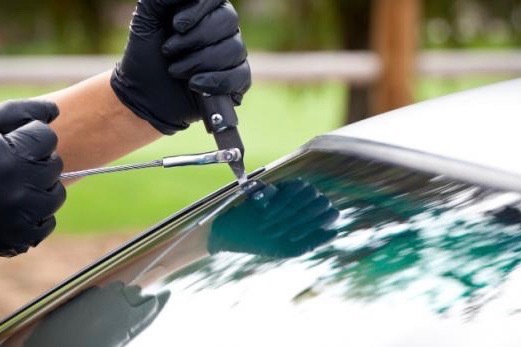 Black Glass gives 10 year warranty for auto glass replacement.